Dr. Alokparna Basu Monga (Sonia) has joined the RBS Marketing department after teaching, most recently, at the University of South Carolina. Her research interests lie in the area of consumer behavior, focusing on how consumers respond to branding activities, particularly across cultures. Sonia’s research has appeared in the Journal of Consumer Research, Journal of Marketing Research, Journal of Marketing, and the Journal of Consumer Psychology. She has served on the Editorial Review Board of the Journal of Consumer Psychology, and is currently on the Editorial Review Board of the Journal of Consumer Research. For her research, Sonia has been awarded the 2010 Park award for outstanding contributions to consumer psychology, and the 2003 ACR-Sheth award for cross-cultural research. For her teaching, she received the Lieberman award for teaching excellence at the University of Minnesota. 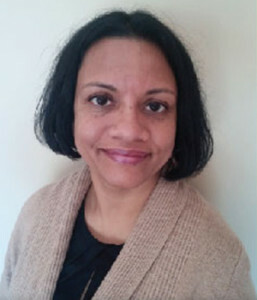 At the University of South Carolina, Sonia chaired the Moore School’s Research Advisory Council and was the administrator of the Behavioral Research Lab. Sonia has a bachelor’s degree in pharmacy from BITS Pilani in India, an M.B.A from Lancaster University in England, and a Ph.D. from the University of Minnesota. In the industry, she primarily worked in product development at SmithKline Beecham.